3. A Commercial and Industrial Range of External Gas Boilers – Which are floor mounted – with an output range from 65 kW to 300 kW (actual output will vary depending on the heating flow and return temperatures), these are IP5XD Boilers , supplied with a purpose built boiler housing , encompassing all the pipework, low loss header system as well as a gas leak detection system, as one of the many safety features on this range . Basically the unit is a pre built packaged plant room as such, there are more details at the end of the page on this range. COMPACT AND ELEGANT – Only 240 mm depth contains all the power of these External Gas Boilers , whether it be the heating only or combination boiler versions , in an elegant and refined design.Its small size and light weight simplify installation. It has been given great attention to the user usability with simple and intuitive controls, and ease of maintenance with front access to the boiler. A range of condensing gas boilers able to satisfy the new household needs,that feature smaller spaces, energy saving requirements, comfort, ease of use, reliability and a light impact on the environment. 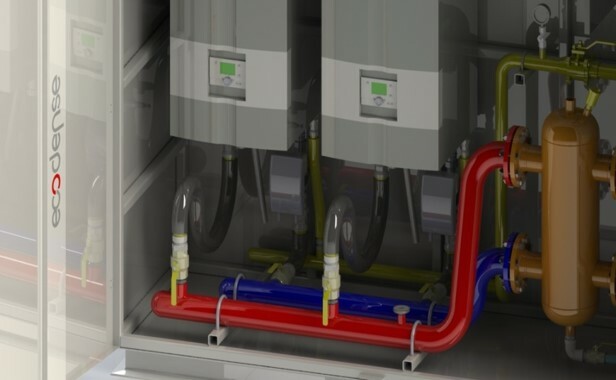 Finally, thanks to the adaptive gas function, these external gas boilers can operate with all types of gas without requiring the replacement of the nozzles (the boilers are supplied with a single product code), so it’s the exact same boiler for natural gas or LPG ( Propane ) Gas , ensuring that you can not go wrong on site ! 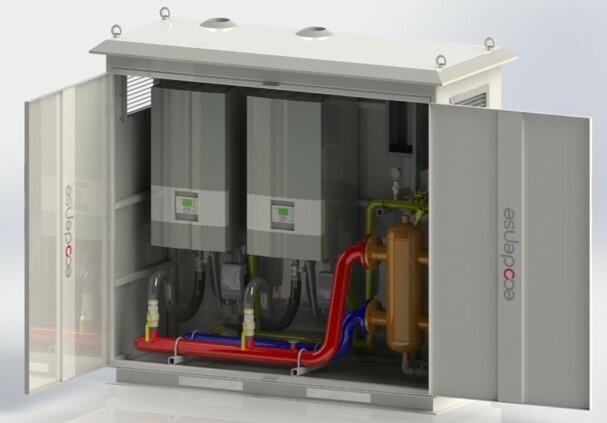 From initial conception, these external gas boilers have been designed and developed to benefit from a new stainless steel heat exchanger with extra wide water passages: the inner section of the coils has been increased by 4 times in comparison to the market standards.Thanks to the new heat exchanger, the City Open and the City Box have better thermal efficiency, better resistance to limescale and clogging up, making these external gas boilers ideal even when replacing boilers on pre-existing heating systems; In addition, the single coil design of the new exchanger guarantees high flow rates, low hydraulic load losses, easier cleaning and maintenance as well as exceptional resistance against corrosion. Ecologic premix boilers have a constant air/gas ratio in each point of the turn-down range of the burner, decreasing polluting emissions and stream lining efficiency. The gas premix burner is made of “Fecralloy” a special metal fibre and has a round shape. The premix burner spreads short and perfectly nourished flames. 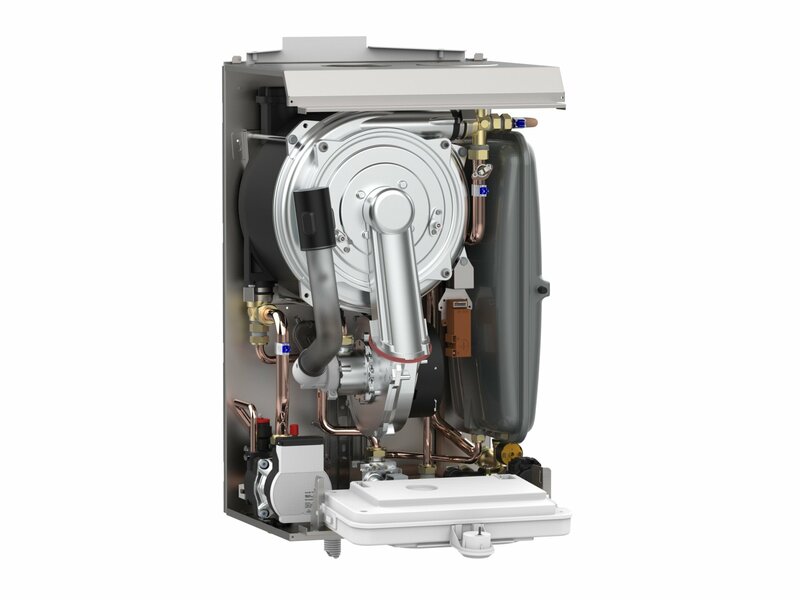 If you order these gas external boilers in the external combi boiler version, these external gas boiler benefit from an over sized plate heat exchanger, the domestic hot water is produced by an over sized stainless steel plate heat exchanger, that allows great and quick availability of Domestic Hot Water. They always works in condensing mode, even during domestic hot water supply, thereby reducing the consumption and costs involved in the production of hot water of an additional 10% – compared to boilers that do not condense during Domestic Hot Water production. This external gas combi boiler range always works in a condensing mode, both in heating and hot water production, thereby reducing the consumption and costs involved in the production of hot water of an additional 10%.Considering that hot water is used 365 days a year, the choice of these External Gas Combi Boiler’s double condensing means a great increase in savings! 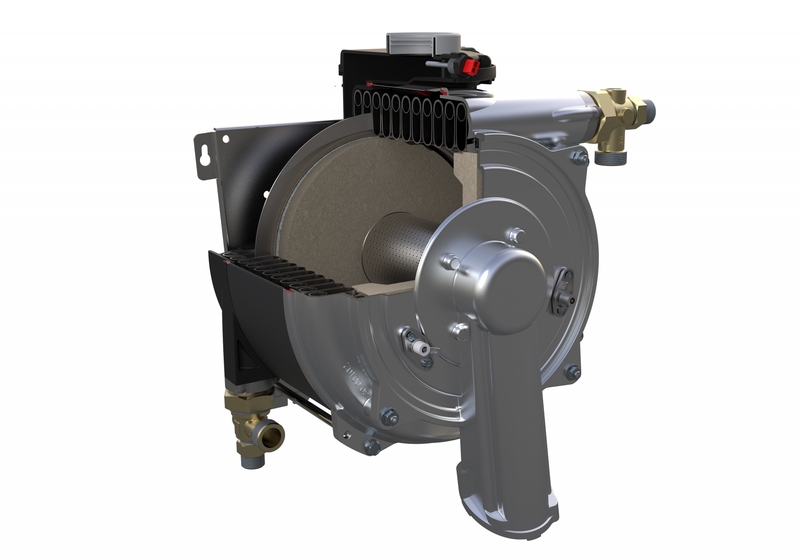 These external gas combi boilers utilize brass on its hydraulic units to ensure maximum reliability and robustness of its products. Even though our range of external gas combination boiler are located externally to the property or building, their installed location, with regards to the flue pipe exit point still has to comply with the latest building regulation 2010 – Part J2 – Discharge of products of combustion.Below is a schematic of where you can locate the boiler in relation to doors, car ports, windows, boundaries etc. This range of gas condensing boilers is available for use outdoors with the additional the CE certified, and weather resistant cover made of epoxy coated steel, which is resistant to sun, rain, frost and salt gives an IPX5D electric protection degree and protects the boiler from frost down to Minus 10 Degrees Centigrade .The boiler remote control allows remote control over the external gas boiler internally from the house or building. 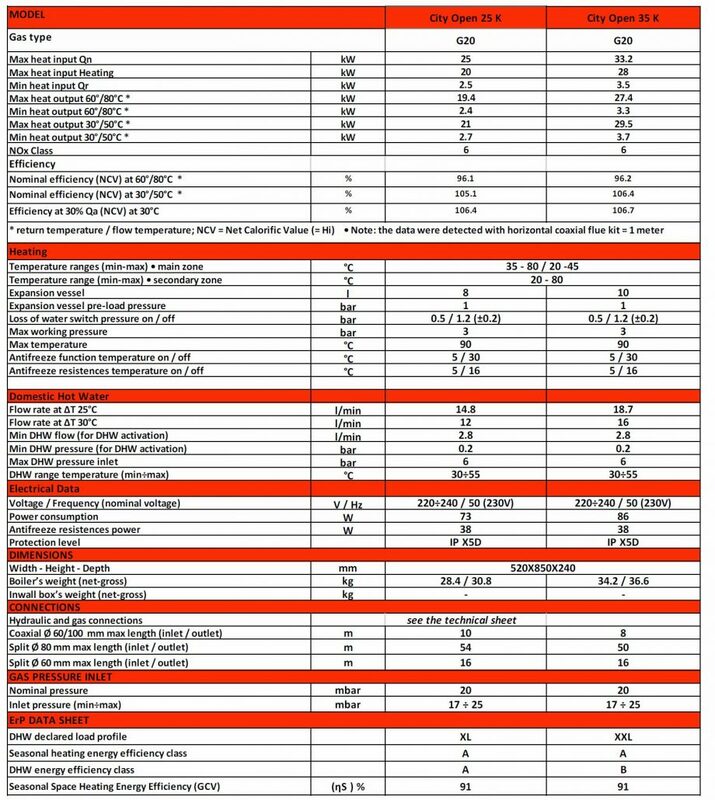 The “FHKON- EXT” are a commercial wall hung heat only external gas condensing boiler, with an output range of either 19.2 kW to 105 kW (actual output will vary depending on the heating flow and return temperatures)with a modulation ratio 1:5.75 (5.0) for the 100 model , and an output of 10.5 kW to 136 kW (again actual output will vary depending on the heating flow and return temperatures) with a modulation ratio of 1:13 for the 140 model . They are ideal for small business and multi-family users, and can be connected in cascade sequence up to 12 units for the 140 model and 8 units for the 100 model to achieve a maximum power of 1,120 kW of boiler heating power.These boilers are “A ” rated ErP heating products, and have a maximum working temperature of 85°C as your flow temperature. 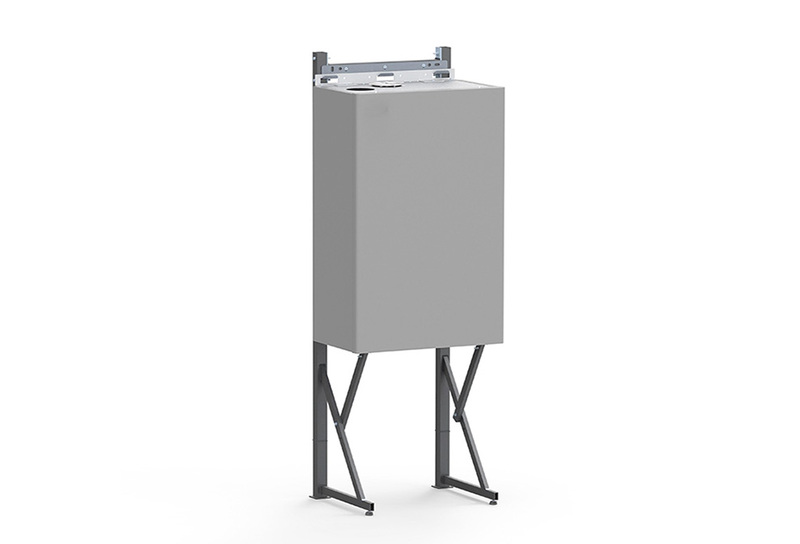 COMPACT, LIGHTWEIGHT AND ECOLOGIC – Only 96 kg for 100kW boiler, and 172 kg for the 140kW model- Please ensure that any external wall that these boilers are to be located can take the weight of the boilers. This range of Commercial Gas Wall Hung Boilers is extremely ecologic thanks to the premix burner which develops short and perfectly nourished flames. WIDE TURN DOWN RATIO (of up to 1:13) – thanks to patented air/gas premix system ,the boiler output adapts according to real need for room heating, guaranteeing great gas savings and low CO2 emissions. These Larger external commercial gas boilers are produced from 65 kW to 300 kW is and are modulating commercial gas condensing boilers, completely fully assembled , in a floor standing external gas boiler configuration.These external gas boilers can be cascaded up to 2,240 kW of Heat Output , if so required. Provides energy saving through 5:1 modulating operation,that optimizes the supplied output according to real thermal needs of the heating system – ensuring maximum efficiency, and allow high seasonal efficiency in systems characterized by frequent and high output variations. When outdoor temperature goes below +4 °C, the boiler automatically protects itself and prevents it and the heating system from freezing. The boiler protects itself should it encounter any unexpected high temperatures within the combustion chamber via a safety thermostat. 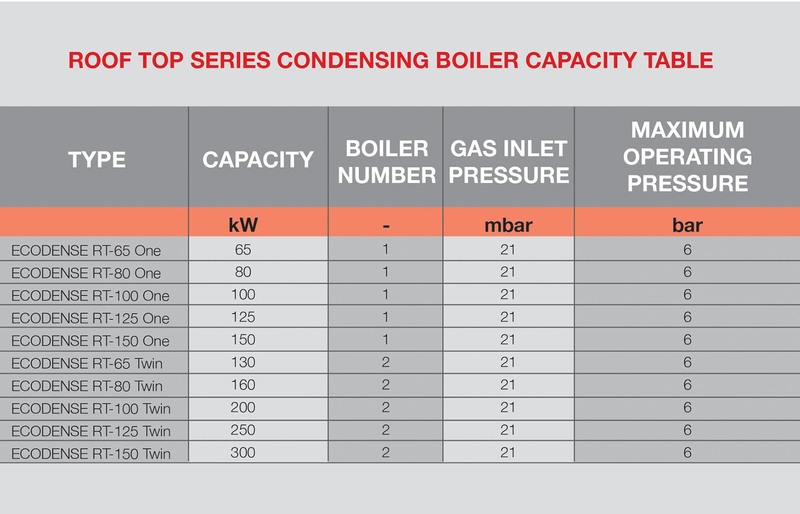 Gas Pressure Sensors ensure that these external gas boilers can sustain the gas pressure between the minimum and maximum limits. • Eye bolt for easy transport. 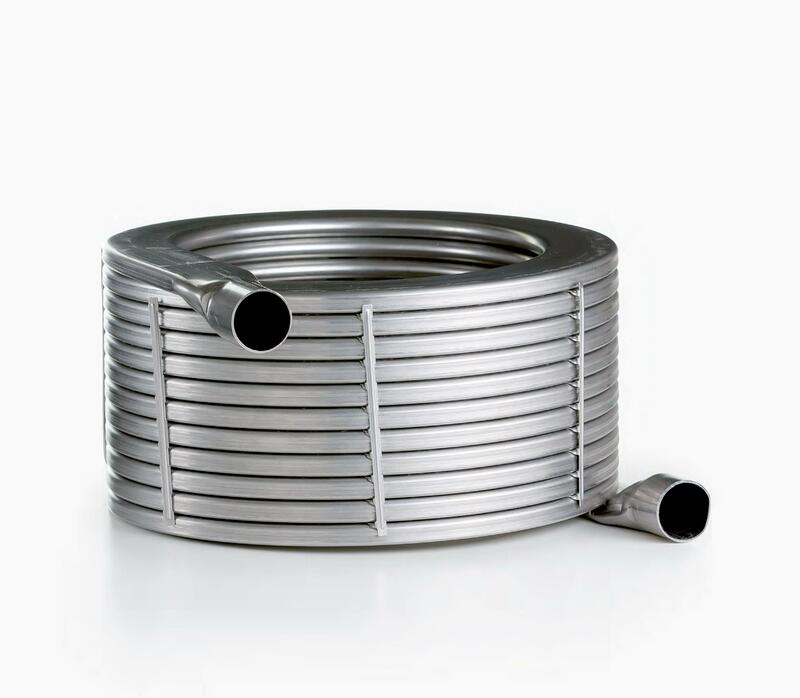 Aluminium heat exchangers – Which offers excellent thermal capacity, meaning water can move more slowly around the system and the return water temperatures are cooler, increasing efficiency. These three Boilers make up a full range of external gas boilers, that can cover any application. 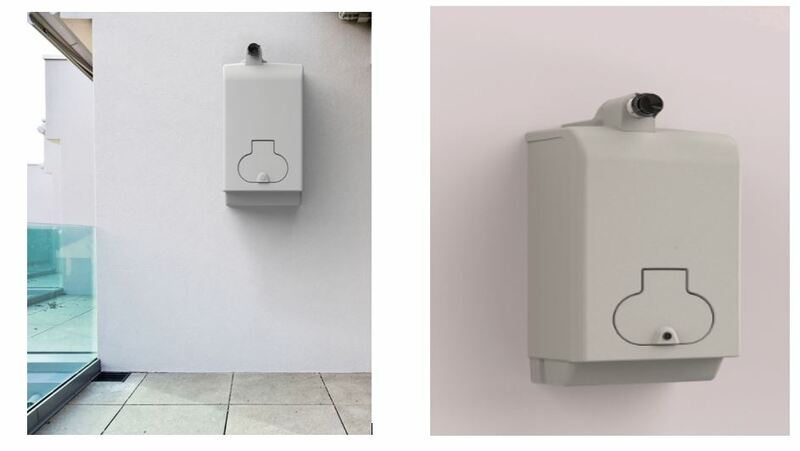 Please remember that by mounting these boilers externally , you will dramatically reduce or eliminate your flueing costs , by locating your external gas boiler in a position that suits you and your site conditions. All of the covers that we do are CE certified, insulated and frost protected, and made from anti Ultra Violet ABS material for the smaller ranges or Anodized Aluminium for the floor standing range. So whatever your application we have the External Gas Boiler to provide the solution to your needs.